Yogurt has always been a great snack for everyone in our family. One of the struggles we've faced in the past is finding a good flavoured yogurt that does not have gelatin. When iögo first came on the market we were excited to try it as it clearly stated on the packaging there was no gelatin. We instantly loved it. I was very excited when I got the opportunity to try their newest line, iögo Moment since we were already fans of iögo products. iögo Moments contains no artificial colours, flavours or preservatives. It is described as having a rich, smooth and velvety texture with 8% milk fat yogurt. It definitely lived up to it's description! The yogurt is incredibly creamy and smooth. 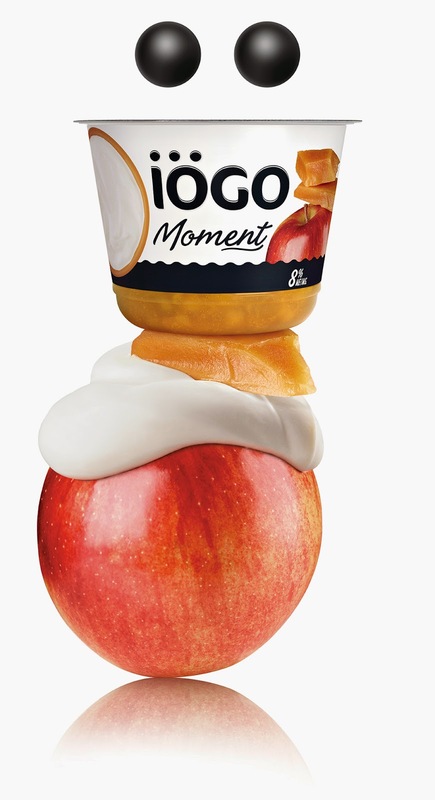 iögo Moments is made with whole milk, cream and fruit. It comes in fruit bottom cups in the following flavours: Orange-Cranberry, Raspberry, Strawberry and Apple Caramel. The Lemon and Vanilla Bean flavours come in 500g tubs. Our favourite was the Apple Caramel. It felt like I was having dessert! My boys in general don't like caramel but they loved this flavour. The Lemon flavour is not overpowering and was also a favourite. I loved to have it mixed with some granola. Vanilla Bean was one of the better vanilla yogurts I have tasted. You can see the specks of vanilla in the yogurt. Both of these flavours would be great on top of some pancakes and waffles or used in a parfait. Being such an indulgent yogurt, it is not something that I would have everyday but it is a nice treat once in awhile. Although I don't mind my kids eating if more often as they are growing boys who are always burning energy! 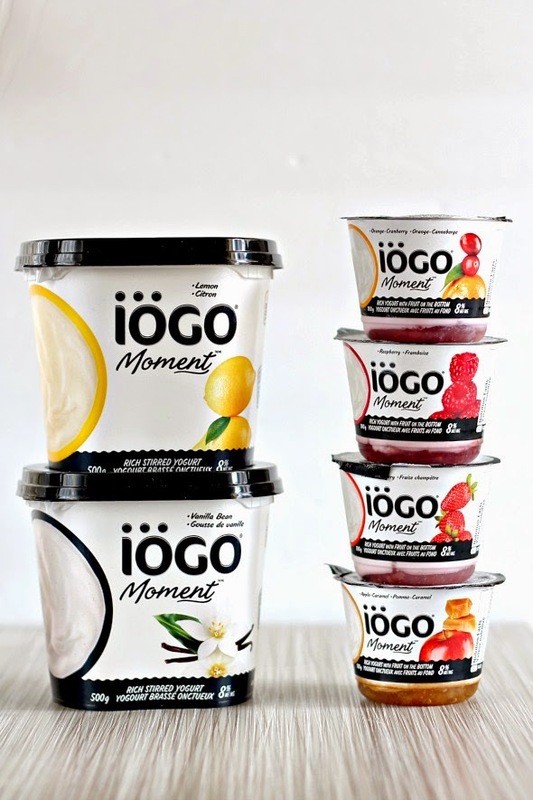 If you are looking for an indulgent yogurt, I would suggest you give iögo Moments a try! Disclosure: I received free samples to try and was under no obligation to give a positive review. All opinions are my own.